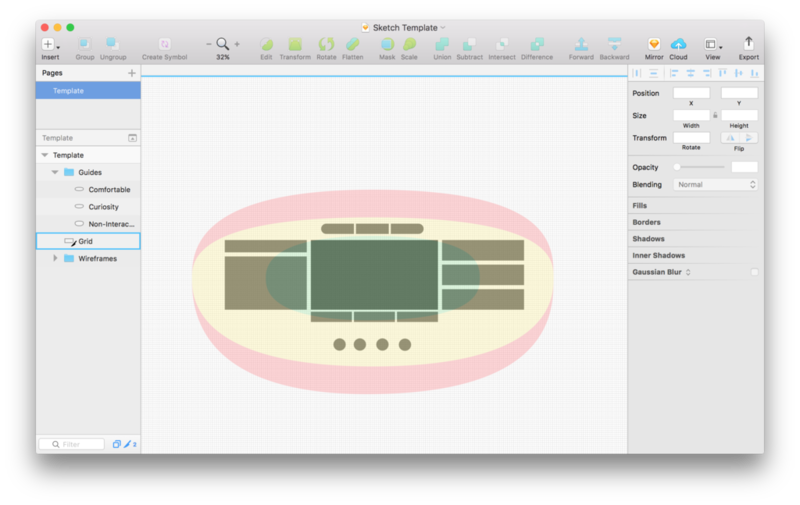 1) Use the Sketch or Photoshop template to create the screen flow or several iterations of your design and export your files. 3) Open the project in Unity 5.5 or above and click ‘Play’ to preview your prototype. Download Zip and Extract it. There’s a demo sketch file and a SketchToVR.sketchplugin. Double click on SketchToVR.sketchplugin. Sketch will install the plugin. Open the demo Sketch file. The “background” artboard is a 360° photo. 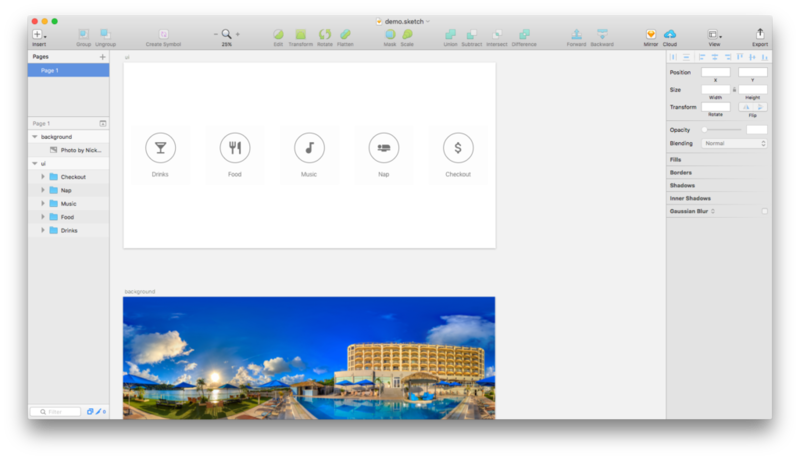 The “ui” artboard is the interface on top of the photo. In order to be seamless, the 360° photo you use should be equirectangular. There are some examples on Flickr. The one in my file is from Nick Hobgood. Go to Plugins > Sketch to VR > Export. The export may be slow due to the size of the 360° photo. The exported folder will be used to run A-Frame, an open-source Web VR library developed by MozVR. It needs a local server to work (simply opening the HTML page will not work). I recommend the SimpleHTTPServer by Scott Garner. Right click on the exported folder and choose SimpleHTTPServer. Use click & drag to navigate. To preview on your phone with a Cardboard, there are a few options. If you own a website, just upload this folder to your website and access the URL from your phone. Or you can use Chrome port forwarding to open localhost:8000 on your phone (initial page load may be slow due to the size of the 360° photo). Tap on the bottom right Cardboard icon to switch to VR mode!